Browsing through all the photos of last years sewing projects I am in mixed emotions of being proud of what I have achieved but a little sad at all the things I missed out. 2012 has been the first year I truly focused on learning how to sew clothes. I have stopped and started making clothes in the past, losing momentum through lack of knowledge and frustration at having no points of reference or guidance. Back in 2009 I took a short sewing course at college in the evenings, but didn't come away feeling like I had learnt anything. The instructor told us to come ready with our chosen fabric and pattern, and instead of talking about how to read a pattern or use a machine, she simply told us to get on with it, and wandered around giving one-to-one instruction where needed. I remember sitting impatiently waiting for help on a certain step while she worked her way round the room. I completed the course with an unfinished skirt and a sense of deflation at having learnt nothing. So it was a while before I felt the confidence to give it another go. I bought a new machine, a fairly basic model but with good reviews and researched the pattern market. The main reason for wanting to sew was to make clothes for my daughters so I looked for children's patterns. I have learnt so many new techniques in the last 12 months and still feel like a newbie! There is so much to try and many many books, blogs and patterns to browse that sewing is always new, and never gets boring! Now the contributions to my own wardrobe have been pitiful. Only two garments! A simplicity skirt and a Tova blouse. 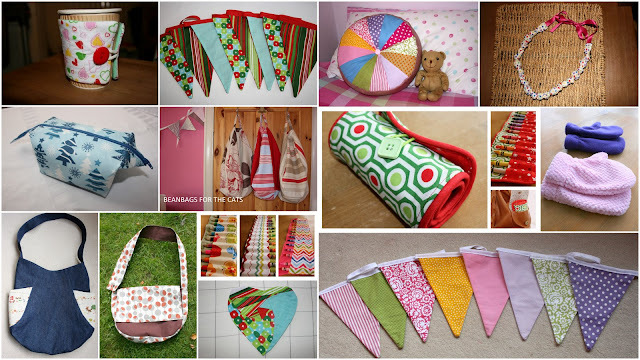 So what are my sewing plans for 2013? I would love to try a few patterns for myself this year. I bought a few books with Christmas present money to get myself started. One is the Colette Sewing Handbook which has some brilliant advice and as an added bonus, five patterns to try. Colette patterns are stunning and there are some I have been toying with buying for a while. The Chantilly and the Peony being on my list. Another book I had on my wish list was Simple Modern Sewing. This is a Japanese sewing book translated into English. I read this blog post on the book, which convinced me to buy it. 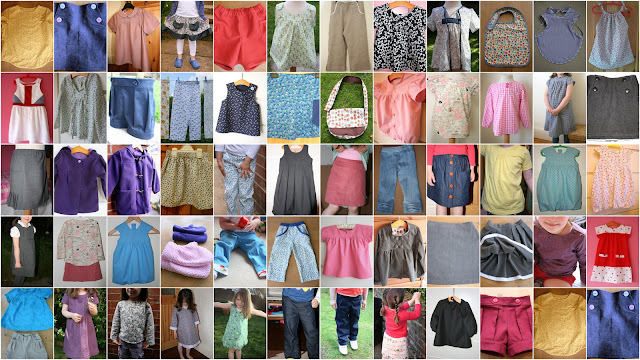 It has 8 basic garment patterns that you can alter to make 25 different pieces. I am really looking forward to trying a few of these. Of course the Tova pattern is a big hit and I will stock up with a few of those in basic colours and prints. I wear my green one such a lot. The childrens sewing will never be put on the back burner though. 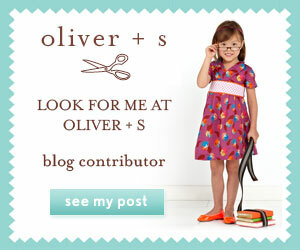 Children grow so fast and Oliver + S patterns are so tempting! If you don't own them all then there is always something to wish for. I hope you all had a fabulous Christmas and I wish you a Happy New Year. I look forward to seeing all your lovely work popping up in the flickr groups and on your blogs. Hope you have had a chance over this busy period to review and plan your own sewing projects. Best of luck in 2013! Thanks Justine! Some of it seems like more than a year ago though!